Wednesday was an ugly day for infighting in the Valley, after Dalton Caldwell, a Silicon Valley veteran and serial entrepreneur, posted a withering missive to his personal blog on Wednesday, in which he accused Facebook of engaging in shady, bullying negotiation tactics when dealing with his company. But as I pointed out yesterday, this wasn’t just a bruise on Facebook’s reputation. It’s a problem for venture capital firm Andreessen Horowitz, as Marc Andreessen sits on the board of both Facebook and Caldwell’s company, Mixed Media Labs. At least, it was a problem. I called up Andreessen Horowitz partner Margit Wennmachers yesterday to see what, if anything, the firm planned to do. After the very public dustup, Margit told me, Marc Andreessen will step down from the board of Mixed Media Labs, the team of technologists behind App.net. To avoid any conflict of interest, Andreessen Horowitz partner Scott Weiss — who has nothing to do with Facebook — will fill the empty seat on Mixed Media Labs’ board. 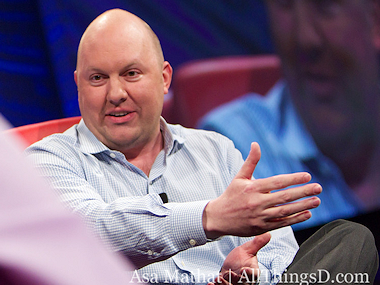 Andreessen, of course, will continue to hold his seat on the Facebook board. Andreessen and Caldwell have had a relationship for some time, since Andreessen invested $5 million and took a board seat on Caldwell’s last start-up, Picplz, in 2010. Andreessen was also an investor in Instagram, a direct Picplz competitor, but only for about a quarter of a million dollars. When Picplz failed in the wake of Instagram’s rise, Caldwell and company parlayed Andreessen’s funding over for his new start-up, which he spent the last year working on, with a 13-man team. That start-up never launched. It was a discovery app built atop the Facebook platform, which aimed to help users find what apps their friends are using on Facebook. According to Caldwell, Facebook originally gave him the blessing to work on the application when he first told the company about it. But later on, when he brought a finished version to a number of high-ranking members of the Platform team, Caldwell says Facebook essentially insinuated it would bulldoze his app with Facebook’s App Center initiative, were Caldwell ever to launch it. Instead, Facebook offered to “acqhire” Caldwell — an offer he subsequently rejected. It’s a no-brainer for Andreessen to continue sticking it out on Facebook’s board, and Weiss will continue to advise Caldwell’s team on Mixed Media Labs’ new project, App.net. Born out of Caldwell’s distaste for Twitter’s and Facebook’s restrictive and amorphous platform policies, App.net aims to be “a paid service for mobile application developers,” alternative to the major social network platforms, funded by user subscriptions and not backed by advertising. The company has a goal of raising $500,000 in a Kickstarter-like campaign, yet may not have enough time to pull it off — App.net has raised less than a third of the amount it needs with 11 days to go. It will be interesting to see where Caldwell heads next if App.net doesn’t take off. He’ll just have to do it without Marc Andreessen on his board.